SXSW has come and gone and we had a blast playing our two showcases at Guero’s and Maggie Mae’s in downtown Austin. We were on the bill with 20 or so bands and were the stand outs! Relationships between men and women have always been intense and complicated. 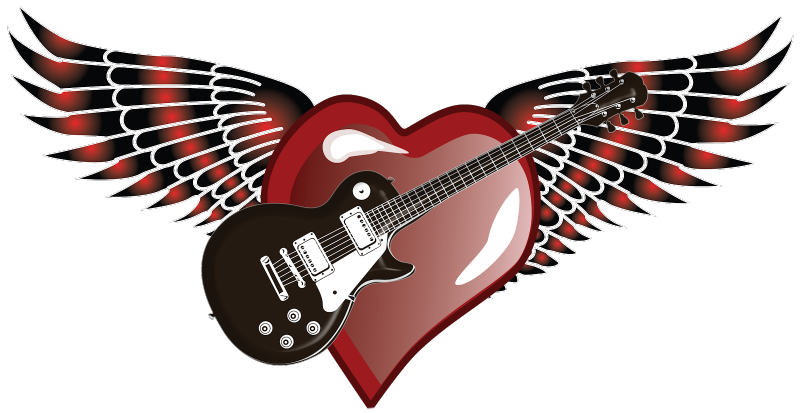 "Heart Beat" is a collection of rock ballads that deal with the hope, pain and anguish of unrequited love. Many people ask me why I play guitar all the time … since they always seem to see me with a guitar in my hands. And the answer is pretty simple … because I can! This weekend I will be heading into the Bubble Recording studio for two long days of tracking guitar and vocal parts for eight new killer songs we have in production. We are a guitar driven rock ‘n roll band … which is an anomaly in today’s world of modern pop music. For this reason … music bloggers tend to want categorize us as a classic rock, vintage rock, and'/or southern rock band. Remember the thrill of meeting someone new and exciting? Bet you didn't see it coming and never know where or when it may happen again. Love is a surprising thing ... are you ready ... are you ready for love? We are happy to share that our first EP is ready for download. We have called this collection And so it begins … as this is our maiden voyage and the first of many releases that we have planned. We just released our newest hit single “Torn Heart” … a sad song about desperation and the consequences of taking matters into your own hands. What would you do if your back was against the wall and you couldn’t care for your family?